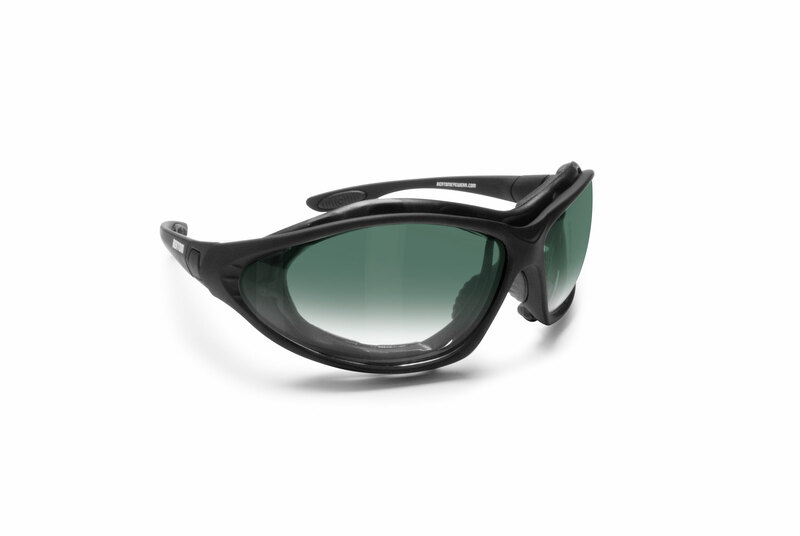 Frame: anticrash polycarbonate - mat black color. Size: suitable for all types of faces (narrow to large) . 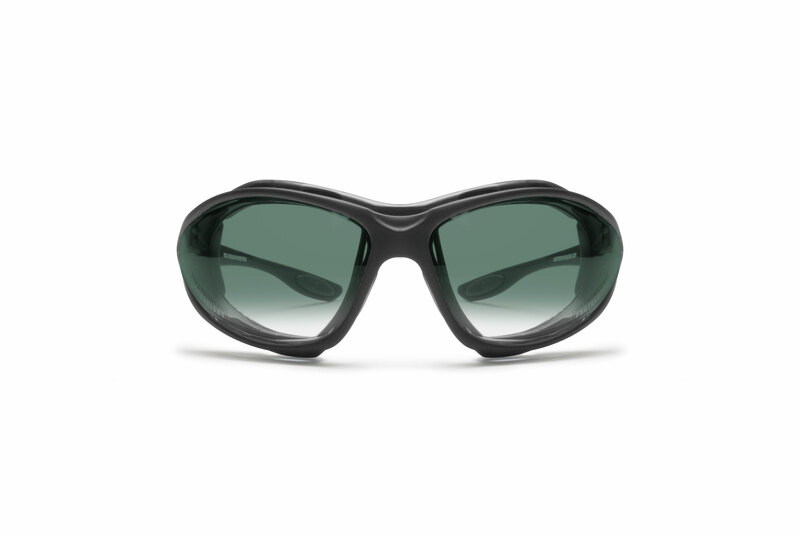 Lens: dark gradient green - 100% UV protection. Removable windstopper and confortable rubber insert. Grip at the tip of the arm and nosepad: keeps the sunglasses from slipping. 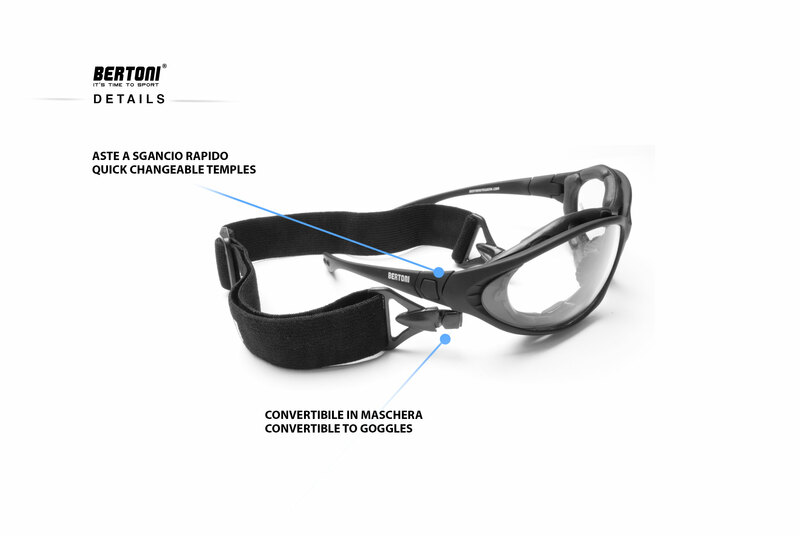 Interchangeables temples with elastic strap to have a very skin tight fitting for motorcycle and extreme sports. 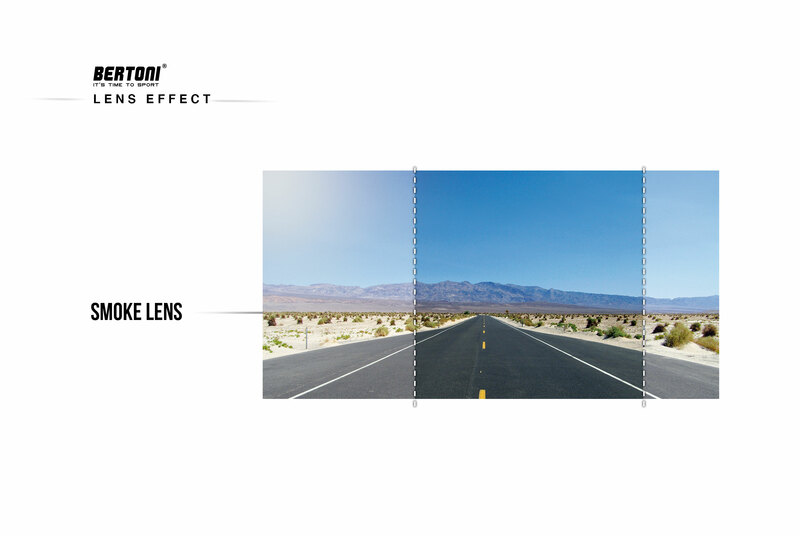 Gradient smoke lens allows to use it also during the evening , driving in tunnels or shaded street. 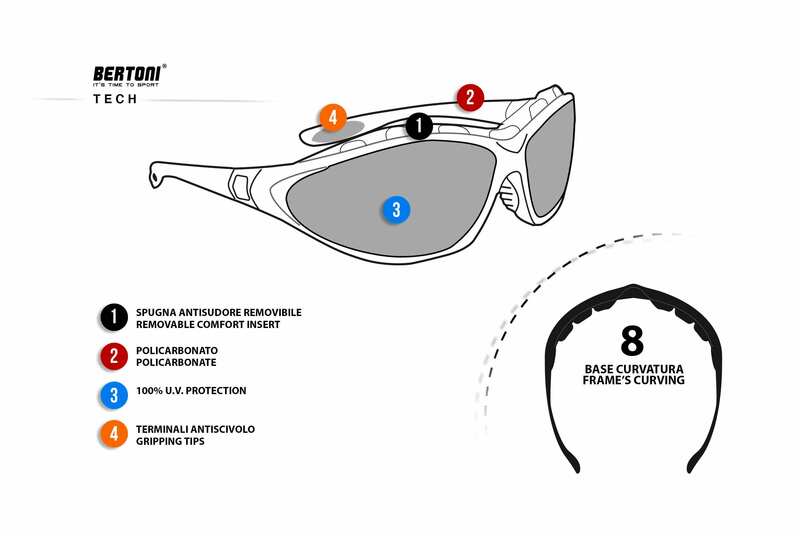 FT333 by Bertoni Italy sunglasses can be easly converted into goggles. The lenses are treated with a special resin which removes the condensation formed above the surface (Hot or Cold). 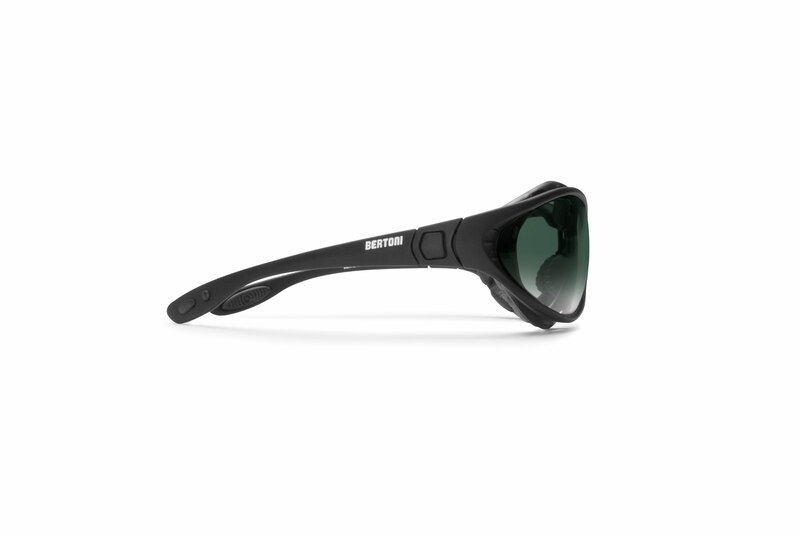 These glasses are convertible into goggles, making it ideal for sports, the branches can be changed quickly with the adjustables cord. anti-scratch mousse. This is a support for prescription glasses. 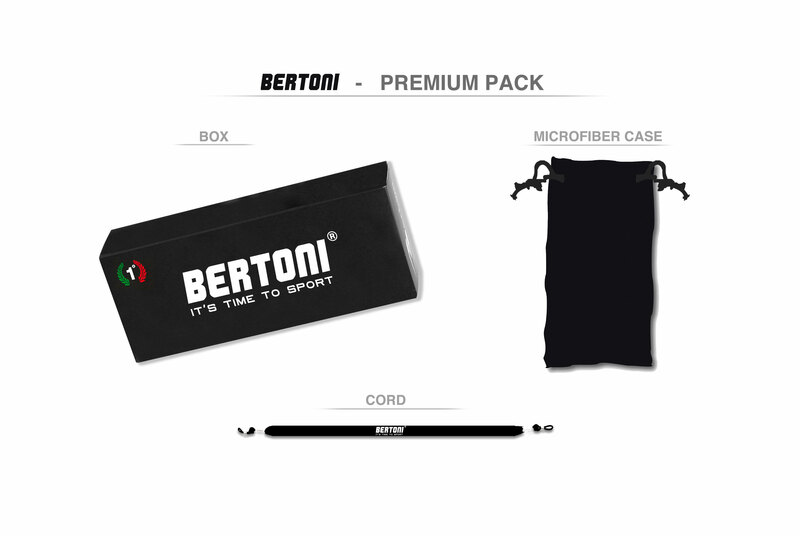 Perfect for all sports and especially for bikers and free flying.